The Easter holiday is a peculiar one. Always roaming about, between late March and late April, with the weather potentially fit for a snowball fight or a barbeque in the garden. As well as hailing the end of the solemn period of lent, it is of course also seen as the harbinger of spring- all those bunnies, chicks and gambolling lambs. Whether it’s a period of religious observance or pagan celebration for you, however, there’s a certain joy in knowing that almost everything shuts down for four days – that’s longer even than the Christmas break! The long weekend offers a chance to feast with family, get outdoors in the post-equinox light and, of course, enjoy some lazy mornings in your pjs with a boiled egg for breakfast. 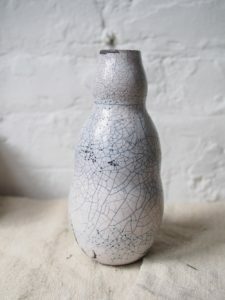 This gorgeous one-of-a-kind ceramic vase, made from Brixton clay vase and fired in a RAKU kiln by ceramist Janie Kidston, holds a few spring blooms and would sit beautifully on any mantelpiece or side table. Vase £95, JamJarEdit. 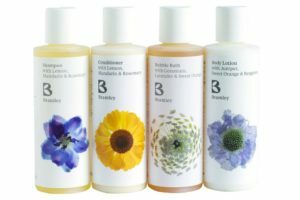 Suppliers to luxury hotels and stores all over the world, Bramley products are carefully made in Britain using essential oils and naturally derived base ingredients. Their travel set makes a brilliant gift. Bath Travel Set £28, Bramley Products. Furious Goose is a brand we could love for its name alone! 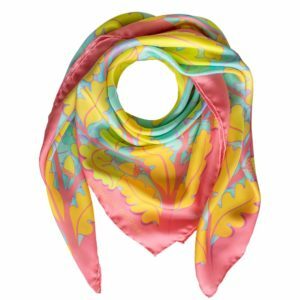 They also make gorgeous silk squares for men and women, and this one featuring a trio of hares makes the ultimate luxury Easter present. Trio of Hares Scarf £270, Furious Goose. 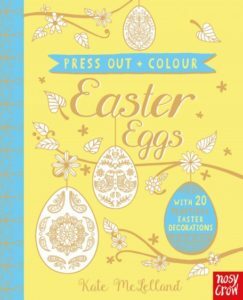 Something to keep the smaller people busy and quiet between bouts of scoffing chocolate, these paper eggs for colouring in are perfect for sticky little fingers. Press out and Colour Easter Eggs £10, Nosy Crow. Finally, to celebrate the new season, with the promise of warmer days ahead, a pair of our pyjamas make a perfect present. Perhaps Breakfast in Bed, with its pretty floral sprigs- available for women (£95) and girls (£42). Or maybe a pair of our Cornish Blue organic cotton shorts for men (£47)- just the thing for spring and summer! Whatever you choose, may your Easter weekend be full of fun and joy!